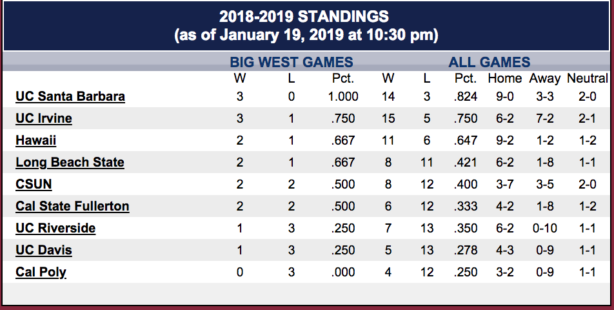 It’s probably a bit too early in the regular season to create separation in the Big West Conference basketball standings. 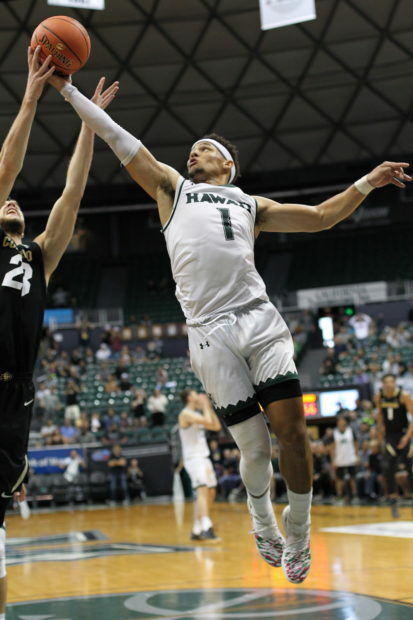 Still, Wednesday’s conference game between the University of Hawai’i and UC Irvine is a big one, with both teams looking to keep pace near the top. The Rainbow Warriors are 11-6 overall and 2-1 in the Big West. The Anteaters are 15-5 and 3-1, and ranked No. 10 in a mid-major Top 25 poll by www.collegeinsider.com. The game is scheduled to start at 7:00 p.m. at the Stan Sheriff Center. UC Santa Barbara, which plays at Cal State Fullerton on Thursday, is the only unbeaten team in the Big West at 3-0. The Warriors are coming off a road trip split (win at CSUN, loss at UC Riverside), and will play their next four games at home. 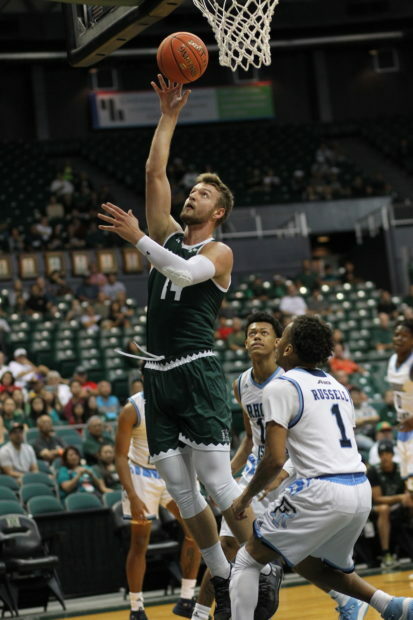 Hawai’i head coach Eran Ganot emphasized the need for defensive improvement after both of the road games last week. In particular, the Warriors allowed CSUN and UC Riverside to shoot a combined 24 for 50 (48 percent) from 3-point range last week. On the other hand, Hawai’i has been proficient on offense in recent weeks. The Warriors are averaging 78.0 points per game and shooting an impressive 50.3 percent from the field in their three Big West games so far. Junior guard Eddie Stansberry scored a season-low two points in the loss at UC Riverside, but continues to lead the Warriors in overall scoring at 13.4 points per game. He also ranks second in the Big West with 51 3-pointers. Senior forward Jack Purchase is averaging 11.9 points and 6.2 rebounds per game, and ranks seventh in the Big West with 41 3-pointers. Junior forward Zigmars Raimo is averaging 11.2 points and 6.8 rebounds per game, and leads the Big West in field goal percentage at .572. The guard rotation of Brocke Stepteau (9.5 points, 2.9 assists), Drew Buggs (8.8 points, conference-leading 5.5 assists, 4.6 rebounds) and Sheriff Drammeh (8.0 points, 3.2 rebounds) will need to be consistent against a UC Irvine team that has set the standard for consistency in the conference. The Anteaters have finished either first or second in the Big West in each of the previous five seasons. All five starters are back from last season’s team that finished 18-17 overall and tied for second in the Big West at 11-5. They are following the same formula this season – balanced scoring, defense and rebounding. UCI normally rotates nine players, and the minutes and production are spread almost equally. Max Hazzard, a 6-foot junior guard, leads the scoring with 11.8 points per game. He also leads the team with 49 3-pointers. The other guards in the rotation are: 6-1 junior Evan Leonard (10.7 points), 6-2 junior Eyassu Worku (7.3 points, 2.7 assists), and 6-2 senior Robert Cartwright (6.7 points, 2.5 assists). Tommy Rutherford, a 6-8 junior forward, was a first-team All-Big West Conference selection last season. So far this season, he is averaging 6.3 points and 4.3 rebounds per game in just 16.3 minutes per game. The other forwards in the rotation are 6-9 freshman Collin Welp (8.3 points, 4.3 rebounds) and 6-5 junior John Edgar Jr. (7.5 points, 3.2 rebounds). Jonathan Galloway, a 6-10 senior forward/center, is a difference-maker in the post, even without significant statistics. He was voted the Big West Defensive Player of the Year in each of the previous two seasons. This season, he is averaging 5.2 points and 8.0 rebounds per game, and has 23 blocked shots. Galloway has some significant help in the post this season in form of 6-9, 260-pound senior Elston Jones, who is averaging 5.8 points and 7.0 rebounds per game, and leads the team with 32 blocked shots. The Anteaters are allowing just 64.7 points per game, and lead the Big West in opponent field goal percentage (.389) and rebounding (40.4). Since joining the Big West in the 2012-13 season, Hawai’i has a record of 5-10 against UCI, including just 2-4 in games played in the Sheriff Center. Promotions: Bank of Hawaii is the sponsor of Wednesday’s “Superhero Night” game and fans are encouraged to wear their favorite super hero costume (first 100 fans dressed up will receive a $5 sodexo food/drink voucher.) Bank of Hawaii will distribute 100 thermo snack bags at Gate A and visit the Bank of Hawaii table to play the “Plinko Game” to win FREE prizes. Fans can register to participate in the Bank of Hawaii halftime contest at Gate A for the chance to win $150 in gift cards. 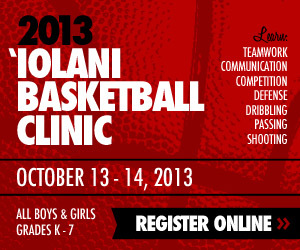 Hope hope they worked on executing there offense against zone defense. That really throws them off of their rhythm. UCR caused problems with that.